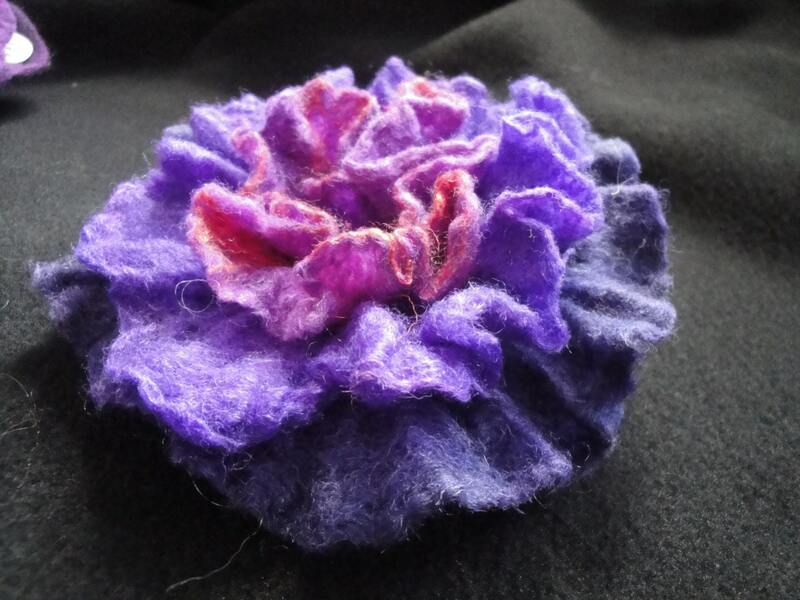 OOAK hand made wet felted flower brooch with merino/silk blend of fiber in purple and red/orange colors. MADE TO ORDER. 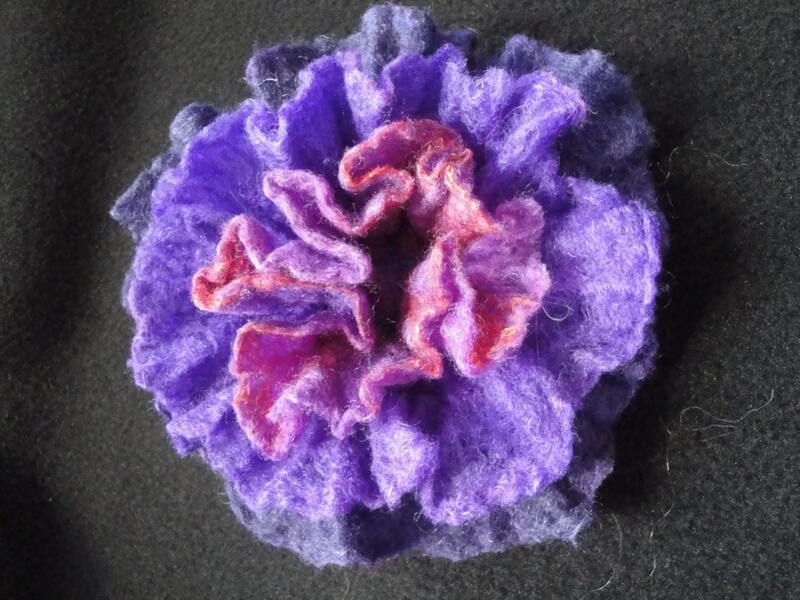 This one of a kind hand felted flower brooch is made out of a 40/40/20 Superwash Merino/Merino wool/silk blend of fiber in deep eggplant, bright purple and red/orange tinged lavender colors. 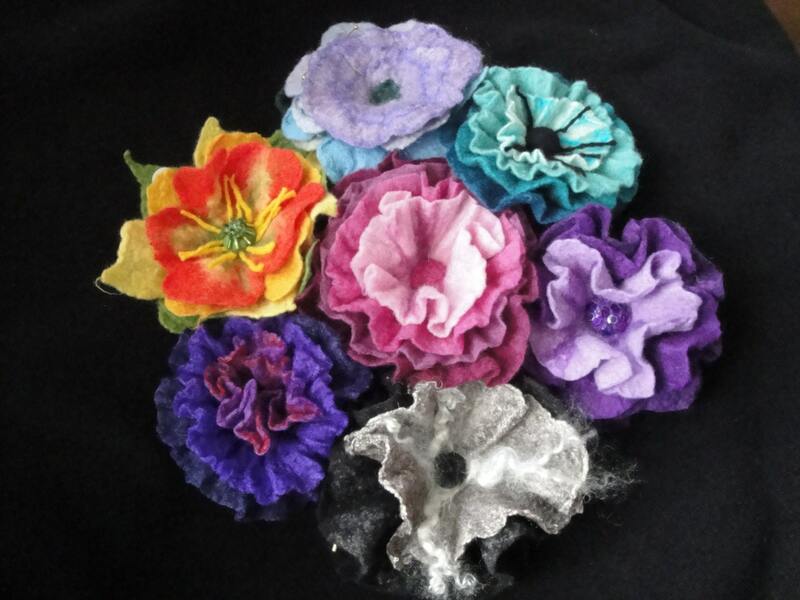 Has a clasp hand sewn to the back of the flower for attaching to your blouse, coat, hat, belt and/or purse. You can also use it as a hair ornament by carefully pinning it to a bun or ponytail. SIZE: Approximately 5 inches (13 cm) in diameter and 1 inch (2.5 cm) tall. MATERIAL and SOURCES: Hand dyed fiber was purchased from Abstract Fiber in Portland Oregon and is 40% Superwash Merino wool/40% Merino wool/20% silk blend of fiber in colorway "Smitten". 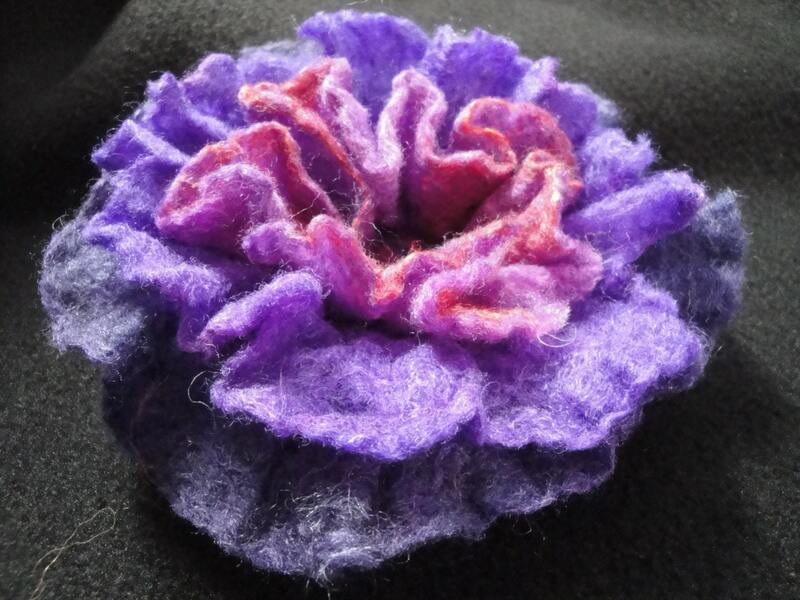 The flower was hand felted by me in my home in Issaquah Washington. CARE: Gently hand wash in cool water with mild soap, rinse and gently squeeze out excess water, reshape and dry in a cup to maintain shape until it is dry. 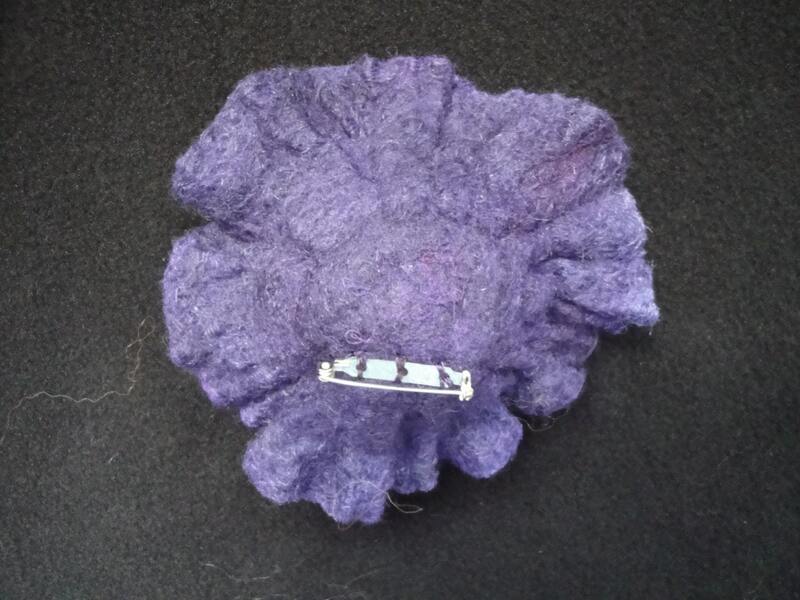 CUSTOM/SPECIAL ORDERS: I will gladly make you a special item. If you don't see what you want or want something made in a different color, style or size just send me an email and we can discuss it. I do ask for a good faith deposit of 50% of agreed upon price before I start. If I have the materials on hand it will take less than a week for me to make it and ship it to you. If I need to buy fiber from outside the US it may take up to 6 weeks before shipping to you because of customs and international mail service.